BLACK VEIL BRIDES vocalist Andy Biersack and drummer Christian “C.C.” Coma were interviewed for a recent episode of the “Rock Sound Podcast”. You can now listen to the two separate chats below. 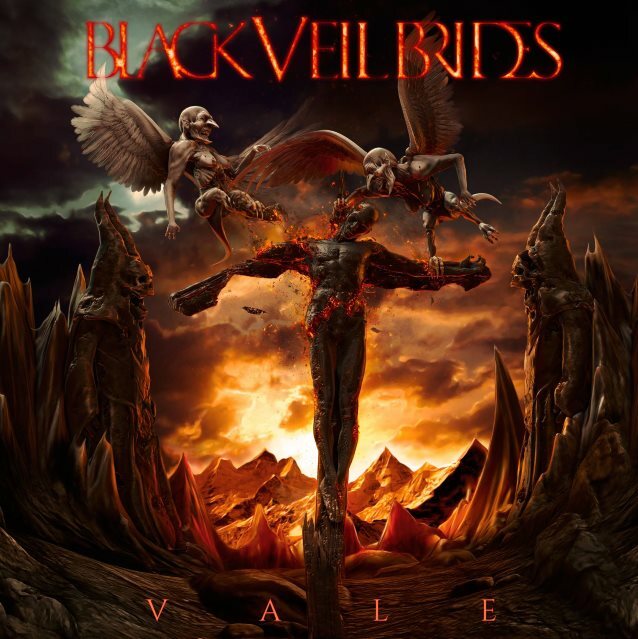 Speaking about BLACK VEIL BRIDES‘ marketing approach for the band’s upcoming fifth album, “Vale”, Andy said: “I’ve always been so ‘everything has to be a certain way and everything needs to be this exact way,’ and I really felt that this time around, maybe it might be nice to bring in some other people and outside people who can not necessarily take away from the vision that I’ve laid down but maybe add things and help out and really see where it can be taken. “If I’ve learned one thing over the course of my career, and especially in the last two years, there’s a real beauty and joy in collaborating and delegating as opposed to just obsessing by yourself,” he continued. “So because of that, the timeline has kind of been changed. “We will have a video out before the record is out. In this day and age, we’ve had all these conversations: ‘Well, do we need to get it out by Thanksgiving? Do we need to get it out whenever?’ And then we really just thought, well, the day and age that we live in, it’s not gonna go on MTV. We don’t need to advance an album with a music video. Why don’t we just do something awesome and take our time with it and put it out when it’s done, which will likely be soon before the album is out. So that’s really the way we’re looking at it. And we want something that’s gonna be representative of the record, also something that represents the stage show, and that’s all taking time to put together. “One of the unfortunate parts of making a music video sometimes is you do it so far in advance of the album coming out that by the time the album comes out, you see the album differently,” he added. “And the video really paints the picture for how people see the record. “Vale” will be released on January 12 via Lava/Universal Republic. The follow-up to BLACK VEIL BRIDES‘ 2014 self-titled effort was produced by John Feldmann at his Southern California studio. BLACK VEIL BRIDES will embark on a North American co-headline tour, dubbed “The Resurrection Tour”, with ASKING ALEXANDRIA, kicking off January 10 at The Complex in Salt Lake City, Utah, rolling through major markets coast to coast, and concluding in Las Vegas, Nevada at House of Blues on March 2. CROWN THE EMPIRE will act as support on all dates.